Trustees of The ARCHIE Foundation are appointed on five-year terms. They are responsible for the operation of the charity and meet every other month throughout the year. The Board has four sub-committees – the Finance and Governance Committee, the Clinical Advisory Committee, the Global Development Committee and the Friends of the Neonatal Unit Committee. These committees also meet every other month and review the detailed applications for support and operation of the charity. All three report to the Board with recommendations based on the applications and reports they have been considering. 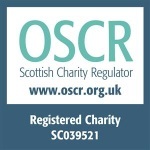 Day-to-day management of the charity is delegated to the Chief Executive who, in turn, has a team of Directors reporting to him who are responsible for performance in different areas of the charity.